Brazilians Alison Cerutti/Andre Loyola Stein, the No. 13 seed, will battle No. 6 Latvians Janis Smedins/Aleksandrs Samoilovs for the Moscow Four Star gold title on Sunday at 11:20 a.m. ET. The Brazilians will be looking for their first medal in their sixth tournament as a pairing. 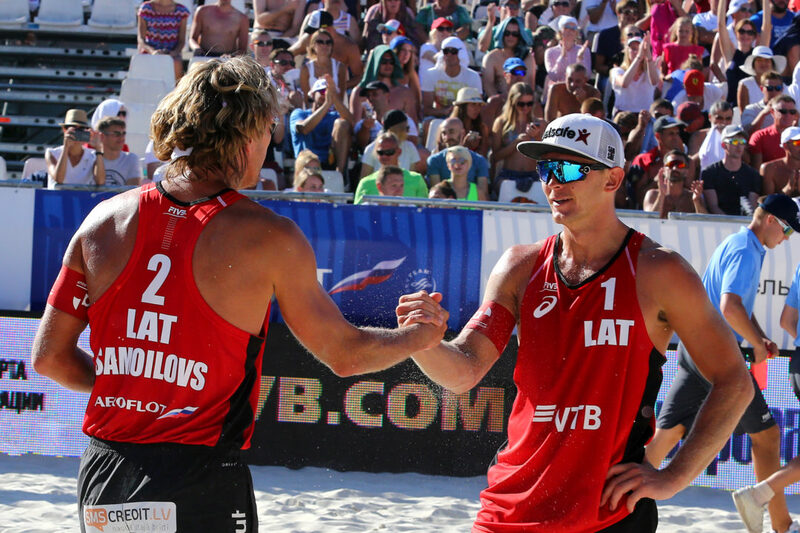 Top seeded Russians Oleg Velichko/Igor Stoyanovskiy will look to give the home crowd something to cheer about in the bronze medal match against fifth-seeded Brazilians Vitor Felipe/Evandro Goncalves Oliveira.